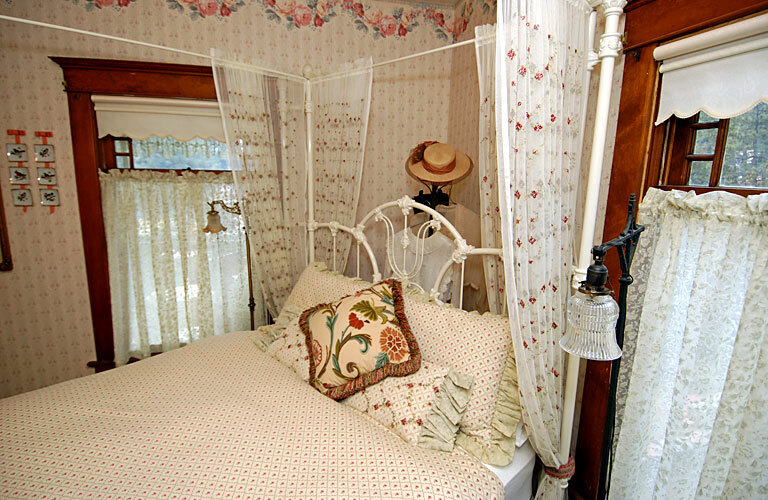 The Boyd Suite is an elegant country suite with a cast iron canopy bed draped in delicate floral lace. The room is furnished with antiques that transcend an earlier time in American history. 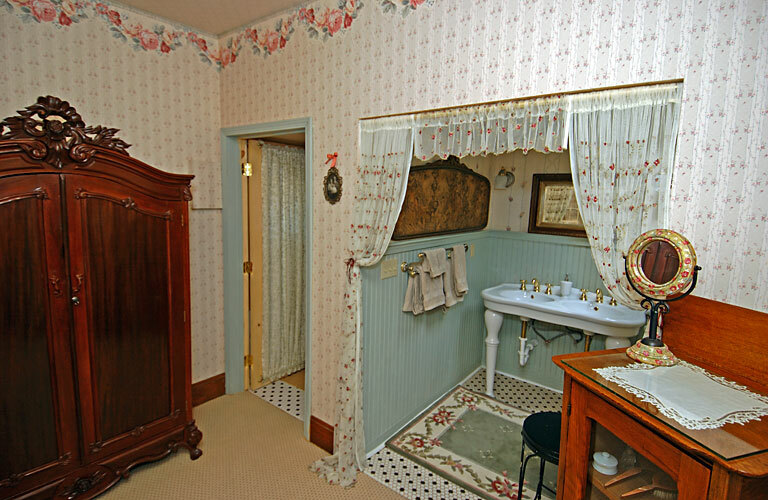 Sunlight streams through a sky light above a beautiful 1895 claw-foot tub, and for those who prefer a refreshing shower, the tub is equipped with a dazzling brass rain-shower. Private bathroom, Queen-size bed, white cast iron four poster bed, Claw-foot tub (circa 1895), Brass shower rod and fixtures. Two legged double console sink with brass fixtures, Pull chain toilet with brass fixtures.